What is the difference between a DUI and a DUID? You can be charged with a DUI if you are found driving with a blood alcohol concentration of 0.08% or higher. If you are found driving under the influence of drugs, you can be charged with a DUID. What are the consequences of a DUI or DUID? Although there are many varying degrees of consequences (depending on the number of times you have been charged with DUI/DUID), some include a suspension of your driver's license, heavy fines, and even jail time. Dealing with the prospect of these consequences can be overwhelming. 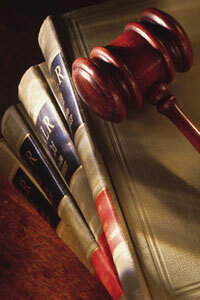 You can depend on the Law Office of Robert Tayac to prepare an aggressive defense of your San Francisco DUI case. Successfully representing clients in the San Mateo, Marin, Alameda, and Contra Costa counties since 1994, Mr. Tayac focuses on California DUI law and those cases that relate to drug and alcohol charges. Robert Tayac attributes his success in the San Francisco Bay Area to his dedication to continuous education and training as a criminal defense lawyer. In order to provide an effective defense for your DUI case, he keeps himself informed on criminal law and alcohol-related tests such as the various field sobriety tests and breath and blood alcohol tests. A native of San Francisco, Robert Tayac graduated from the University of California at Berkeley [Martindale-Hubble lists UC Davis] and the Boalt Hall School of Law. A member of the California State Bar and the San Francisco Bar Association, Mr. Tayac is practices before California State and Federal Courts, as well as the Supreme Court of California in San Francisco. Mr. Tayac belongs to the National College of DUI Defense, the National Association for Criminal Defense Lawyers, California Attorneys for Criminal Justice, and the California Public Defenders Association. From the date of your arrest, you have only ten (10) calendar days to request a hearing from the California DMV. If you do not make this request on time, you risk losing the opportunity to have your suspension thrown out and your license may be suspended for four (4) months. If you were arrested in the San Francisco area, please contact the Law Office of Robert Tayac for a free consultation. Here, you will provided with all the answers to your DUI questions.